It would be hard to miss the beautiful imagery all over town for the upcoming show at Portland Playhouse. But in case you have – here you go. This is that “show before the show” we love so much. A poster you might actually want to take down and steal. But do appreciate how good it looks. 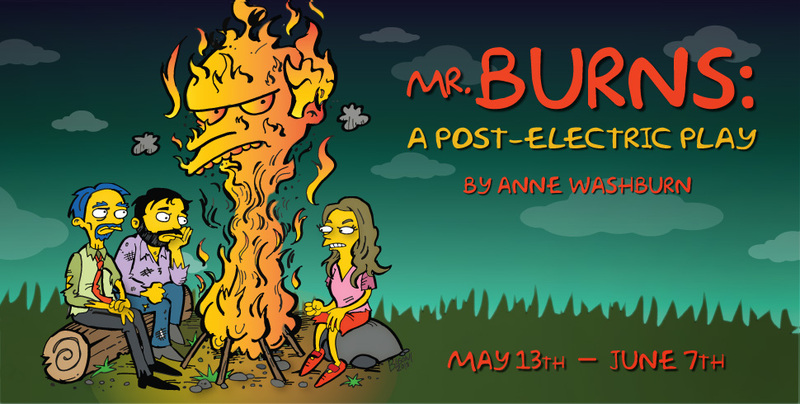 MR. BURNS, A POST-ELECTRIC PLAY by Anne Washburn opens May 16 at Portland Playhouse.